So how is the mattress compressed? Does it damage the foam? Our memory foam mattress is vacuum compressed (air is sucked out of it) and rolled right before it is shipped. This means it is not sitting around rolled up in a warehouse waiting to go out like some other mattresses. Each one is vacuum compressed, rolled, and shipped right to your door via Fed Ex. This process is not just a less expensive way to deliver the Healthy Foundations Memory Foam Mattress, it is actually a safer, more effective way to deliver the mattress. Flat shipped mattresses have a much higher rate of damage from dirt and forklifts than mattresses that are vacuum compressed and shipped in a box. 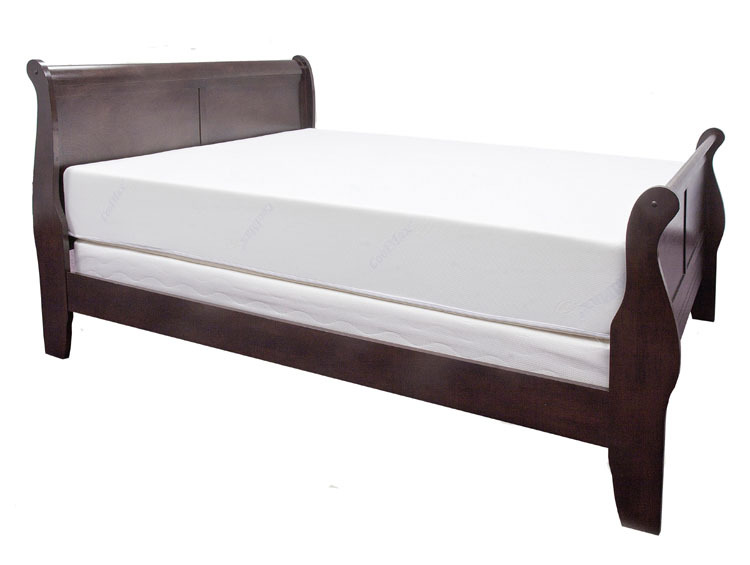 Our mattresses are shipped damage-free via Fed Ex, all ready to open up and use in one hour. To learn more about memory foam mattresses, check out our Guide to Memory Foam.